Unfortunately, your registration has been declined by the auctioneer. You can contact the auctioneer on 260 373-0850 for more information. You are the current highest bidder! To be sure to win, log in for the live auction broadcast on Jul 26, 2018 9am EDT or increase your max bid. For Charleston Auctions, Inc. delivery information please telephone 260 373-0850. All purchasers are required to give actual full name, company name, address, contact phone number and signature. Bidder’s paddles are nontransferable. All bids made by the holder of the paddle will be the responsibility of the registered bidder. A successful bid at auction constitutes a legally binding contract of sale. All sales are final. No refunds, returns or exchanges. The Auctioneer reserves the right to remove any person from the auction site and refuse that individual’s bid or proxy bid. In the event of such removal any outstanding deposit will be immediately returned. Any person attending inspection day, auction sale day or during the removal period assume all risks of damage or loss to person. ALL BIDDERS MUST REGISTER ON-LINE AND BE APPROVED IN ORDER TO BID AT LEAST 48 HOURS PRIOR TO BIDDING ON LINE!! NO EXCEPTIONS!! In the event that any disputes arise involving Auctioneer or Seller (FOR ANY REASON), by bidding at the auction BUYER AGREES TO THE STATE OF INDIANA AS A VENUE FOR ALL DISPUTES. Buyer hereby agrees to reimburse Auctioneer or Seller for any fees or costs (including reasonable attorney fees) Auctioneer or Seller may incur in defending this Venue provision, or any provision set forth herein. No lot can, ON ANY ACCOUNT, be removed DURING the auction sale. Removal is at the expense, risk and liability of the purchaser. Purchases will be released only upon presentation of paid bill. The Auctioneer will not be responsible for items not removed within the time allowed, but does have the option to remove and store, at the risk and expense of the purchaser, any article purchased but not paid for and removed within the time limit mentioned earlier. It is the responsibility of the Buyer to completely remove any article purchased and should any part of such article be abandoned, the Buyer will be liable for any expenses involved in its removal. The Auctioneer nor Seller in no event is liable to the Buyer for non-delivery of any item(s) for any reason except for the return to the Buyer of the deposit or other sums paid for such non-delivered items. This non-delivery period extends from the fall of the hammer until the time allotted for the removal process concludes. In no event will the auctioneer’s or seller’s liability to the Buyer exceed the amount actually paid by the Buyer. The Buyer hereby acknowledges and agrees that the auctioneer and seller shall not be liable for special, consequential or incidental damages. The Buyer agrees to remove its purchases in full, with no abandonment privileges, from the premises on or before the date and time announced by the Auctioneer prior to bidding during the opening announcements. No extensions will be granted. The Buyer must present the original removal copy of the customer invoice to the Auctioneer’s personnel prior to removal of any item. NO ITEM(S), no matter how small, may be removed while the auction is in progress. Representatives of the Auctioneer will stay one hour after the conclusion of the auction for the removal of small hand carried items. 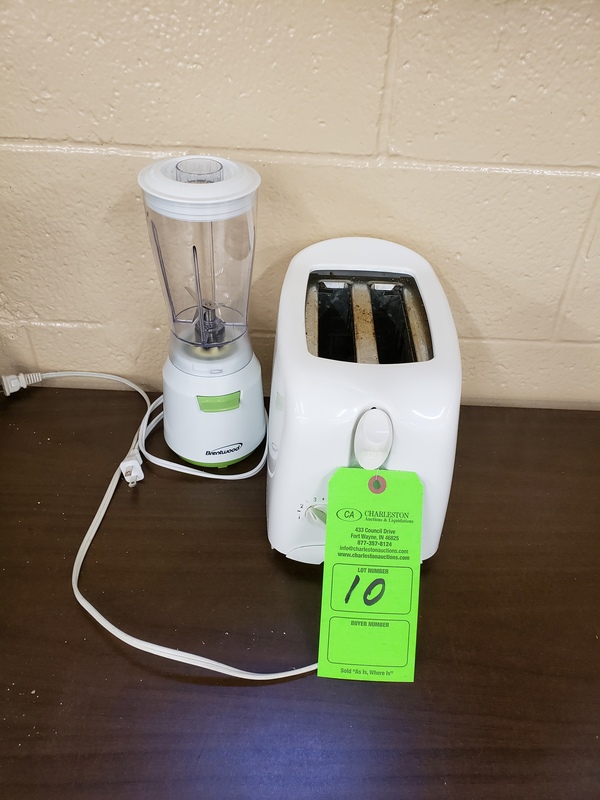 Unless announced otherwise, all small items must be removed by 5:00 p.m. on the day following the auction. The Auctioneer is not liable for personal belongings left on premises. There are no representations, warranties, terms, conditions, undertakings or collateral agreements except as hereinabove provided. A list of riggers, shippers, or third-party vendors may be provided by the Auctioneer; however, the Auctioneer is not affiliated with any machinery rigging, transport or export company. The names and contact information of available companies are provided solely as a courtesy to the Buyer. The Auctioneer does not endorse or guarantee the services of any machinery rigging, transport or export company, and cannot be held responsible for any damage or other problems incurred as a result of the actions of those companies. The Buyer must present the Auctioneer’s personnel with a valid commercial general liability insurance certificate in a minimum amount of $1,000,000.00 combined single limit per occurrence coverage naming the Auctioneer as additional insured. If available, bridge cranes and hoist may be used only by the Buyer if crane insurance is included on their certificate and only with the written permission of the crane owner. In addition, the Buyer must provide the Auctioneer proof of workers compensation insurance. Should any pits, floor bolts or hazards of any type exist after removal of equipment, it is the responsibility of the Buyer, at its cost, to guard these areas using generally accepted safety practices, such as safety tapes, pipes or bars welded in place or suitable safety barriers acceptable to the Auctioneer. All floor bolts and/or anchoring fasteners are to be cut flush to the floor and the area left broom clean and all debris removed. It is the responsibility of the Buyer to be sure that the power to the item(s) is off and then to safely disconnect wiring and utility piping from the item(s) and to cap at the first electrical or air junction of the item(s). Item(s) are to be staged for loading in the area assigned by the Auctioneer’s personnel. It is the Buyer’s responsibility to secure all safety equipment to meet all applicable government safety standards in using or removing any items purchased. Certain items may contain residual chemicals and/or hazardous materials. The Buyer hereby agrees to indemnify and hold harmless the Auctioneer and seller from any and all damages, claims or liabilities from any injuries to persons or property of any type whatsoever caused by the Buyer, its agents, employees or contractors during the sale or during the removal, use or operation of the purchased item(s). Any hydraulic fluid removal and/or oil leaks are the Buyer’s responsibility to remove and clean up. The Buyer must take full responsibility for compliance with applicable environmental laws and exercise all reasonable care to ensure that there is no release to the environment of any hazardous wastes or substances as defined in applicable Federal, State and Local Statues, Regulations, Rules or Ordinances. No trucks are to be left running in an enclosed building. Any surface or structural damage to the premises including but not limited to the walls, ceilings, floors, overhead doors, gates and/or any other item(s), etc. will be the Buyer’s sole responsibility. The Buyer will not be permitted to leave with its purchases until repairs are made. Theft will not be tolerated and Auctioneer reserves the right to inspect all trucks, toolboxes and rigger cases, etc. Instances of theft will result in immediate termination of removal privileges and full prosecution by law. All quantities must be checked prior to removal, as adjustments will not be made thereafter. These terms and conditions together with any amendments or modifications, expressly made by Auctioneer at the time of the auction constitute all the terms and conditions with respect to the sale of items at this auction. Any buyer that is going to have someone other than they pick up their purchases must notify the Auctioneer or their representative in writing. Additionally, if the equipment is not removed after the specified removal dates, each individual or company will be charged a fee equal to $500.00 USD per day for removal services rendered by Auctioneer. Any and all announcements made by the Auctioneer on the day of the auction sale shall supersede any other written or oral information previously distributed. The auctioneer and seller make no representations, warranties, promises, covenants or guarantees, expressed or implied, as to defects in or the completeness or accuracy of the description in any advertising of any item(s) being auctioned and is not responsible for any advertising discrepancies or inaccuracies of any kind. All items are sold on an “as is”, “where is” and “with all faults” basis “without exception” and “with removal at Buyer’s sole risk and expense”. The auctioneer and seller make no representations, warranties, promises, covenants or guarantees of any kind, expressed or implied, as to the nature, quality, durability, capability, function, performance, value or condition of the item(s) being auctioned or its (their) suitability for any use. The auctioneer and seller expressly and specifically disclaim without limitation, any warranty of merchantability or fitness for a particular purpose. The Buyer hereby waives, releases, remises, acquits and forever discharges the auctioneer and seller, and their respective employees, agents, or any other person acting on behalf of the auctioneer and seller, of and from, and shall indemnify and hold the auctioneer and seller, and their respective employees, agents, or other persons acting on behalf of the auctioneer and seller from and against any claims, actions, causes of action, demands, rights, damages, costs, expenses or compensation whatsoever, direct or indirect, known or unknown, foreseen, which the Buyer now has or which may arise in the future on the account of or in any way growing out of or connected with any defects, latent or otherwise, or the physical condition of any item(s) purchased or any law or regulation applicable thereto. The Auctioneer and seller encourage the Buyer to avail itself of the opportunity to make inspections prior to bidding and/or purchasing. The Buyer hereby acknowledges that it has inspected or voluntary waived said inspection of all of the items upon which it will be bidding and/or does purchase. Auction sales are subject to cancellation and items are subject to prior sale. The seller’s secured creditors must confirm all sales. The Auctioneer and seller reserve the right to augment this auction with items from additional sellers. These items may be interspersed and not specially identified throughout the auction sale. The Auctioneer shall regulate all matters relating to the conduct of the auction and the Auctioneer’s decisions shall be final and binding on all bidders. The Auctioneer reserves the right to group, regroup, reduce, add to or delete lots as well as accept or reject any or all bids at the Auctioneer’s sole discretion. The Auctioneer also reserves the right to offer any or all of the items in bulk at any time during the auction at the Auctioneer’s sole discretion. The Auctioneer shall determine the bidding increments and the Auctioneer and/or seller may bid on any item(s) to protect its financial interest or indebtedness at its sole discretion. Some items may be auctioned with reserve, subject to the seller’s right of confirmation. Immediately upon knockdown and the Auctioneer has declared the Buyer to be the purchaser, all items comprising of the lot become the sole and absolute responsibility of the Buyer and the Buyer shall thereupon and thereafter assume all risk of loss (including, but not restricted to loss by the way of theft and damage) and liability relating to such items. The Buyer is advised to pre-arrange insurance coverage for its purchases. Title to and possession of the lot shall not pass to the Buyer until the Auctioneer has received payment for all lots duly purchased in full. On the day of the sale (unless otherwise announced) all ONSITE purchases must be PAID IN FULL without exception. All ONLINE Buyers will have twenty-four (24) hours to arrange payment for purchases without exception. Personal and company checks will be accepted at the Auctioneer’s sole discretion, ONLY if accompanied by a LETTER OF GURANTEE by payer’s bank guaranteeing unqualified payment to Auctioneer for the total amount of purchase. Auctioneer must approve all payment methods in its sole and absolute discretion prior to bidding. The Auctioneer reserves the right to determine, in the sole judgment of the Auctioneer, the validity of all cashier checks and letters of guaranty. Wire transfer information for payments to the Auctioneer is set forth below. If for any reason the Buyer fails to pay the full purchase price within 48 hours from the conclusion of the sale, the Auctioneer reserves the right to PLACE A CHARGE VIA THE CREDIT CARD FILED WITH THE BUYER'S REGISTRATION INFORMATION. If for any reason the Buyer fails to pay the purchase price within the time limit set forth in the catalog or announced by the Auctioneer at the sale and/or fails to remove 100% of its purchases on or before the date and time announced by the Auctioneer prior to bidding during the opening announcements, and/or fails to comply with any other conditions or term, such item(s) will be considered abandoned and the Auctioneer may resell at public or private sale without further notice, or otherwise dispose of any and all such items and the Buyer hereby agrees to pay any deficiency and all removal and other costs relating to such resale together with all charges, legal fees, interest and expenses in connection with such sale or disposition, plus a $500.00 per diem fee item until such item(s) is (are) removed. The Buyer further agrees that the Auctioneer and/or seller may retain all monies received pursuant to any such resale and apply such monies to any such deficiency without further notice. No claim will be considered for allowance or rescission of any sales based upon failure of the property to correspond with any standard expected. If any dispute arises between bidders, the auctioneer may decide the same or put the lot up for sale again at once. The Auctioneer’s decision is final and absolute. The record of sale that is kept by Auctioneer and his bookkeeper will be taken as final word in the event of a dispute. - A 15% Buyers Premium will be charged on all purchases. - An additional 3% will be added to all bidders when using an approved credit card (15% / 18%). - A 18% Buyer’s Premium will be charged on all purchases. - An additional 3% will be added to all bidders when using an approved credit card (18% / 21%).